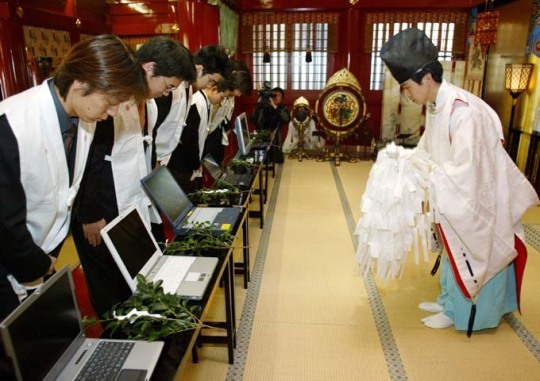 When the latest version of Norton Antivirus isn’t enough, you cold always talk your computer to the Kanda-Myojin shrine to be blessed by a Shinto priest. 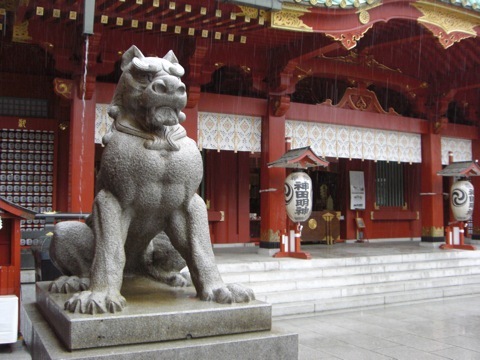 Just a short walk from Akihabara, you will fine the Kanda-Myojin shrine. 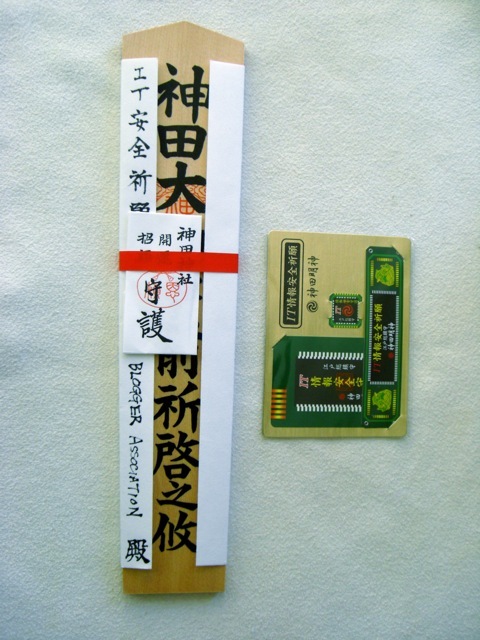 On the outside, it may look like any other Shinto shrine in Japan, however upon entering, you will most likely find Otaku with technology in hand receiving blessings from the priest. The practice most likely got its start due to their location next to Akihabara.